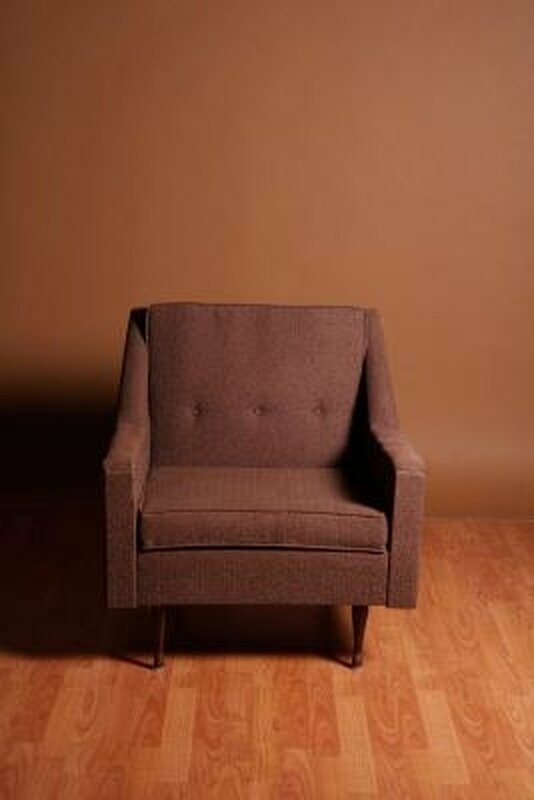 Re-covering a chair is one way to revitalize the look of a room and bring more color to your décor. Before you can reupholster a chair, however, you'll need to know how to measure a chair for upholstery material so you know how much fabric you need to buy. With the quantity of fabric necessary determined, you can shop for an upholstery fabric you like and compare prices between fabrics to get the best deal. Make an unwanted chair appealing by changing the upholstery fabric. Remove the seat cushion from the chair, if possible. Measure the length of your seat cushion as well as the height or thickness of the cushion. Multiply both the length and thickness measurements by two. Add the two measurements together. Measure around a chair arm starting at the outside of the chair where the arm fabric begins and continue over the arm to the point where the arm fabric ends along the inside of the chair seat. Measure the width of the chair arm along the front across the widest point. Multiply each of these numbers by two and then add together as well. 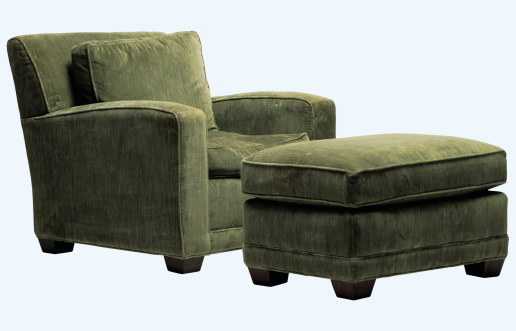 Measure the chair's height along the back of the chair from the top to the lowest point that is upholstered. Some chairs will be upholstered to the floor while others may consist of an upholstered body with wooden legs. Measure the height of the back support cushion from the top of the chair to the point where it meets the seat of the chair. Measure the depth of the seat fabric, which rests under the cushion, from the back of the seat toward the front of the chair, or across the cushion itself from the back to the front if it isn't removable. Measure the height of the chair along the front from the lowest portion of upholstered surface up toward where it meets the cushion or the fabric that rests under the cushion. Add all of the measurements from each step together to come up with a total amount of fabric in inches. Divide this number by 36 to convert the total measurement to yards. Select a 54-inch upholstery home décor fabric in a pattern, color and style that suites your room. Round up the yardage of fabric needed to the next ½-yard to allow for error and have the fabric cut to this length.